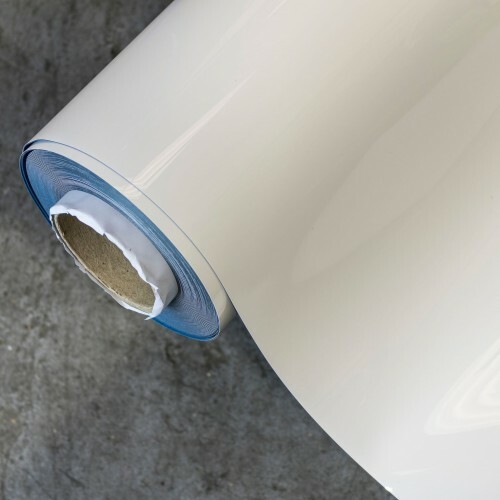 0.55mm thick by 1200mm wide dry wipe with wallpaper like backing (no adhesive). This dry wipe product has a wallpaper like backing where all that's needed is some heavy duty wallpaper paste (available form all good DIY stores) to be able to apply the material to most surfaces. So there is no natural adhesive on the back of the product and you use your own adhesive suitable for the surface you are adhering onto. Ferrous material is receptive to magnets and just what you need to create a complete dry wipe wall - that can be written on and wiped off and you can hold papers on with magnets.